Bordello murders, fatal wedding-day accidents, hate-fueled arson attacks, and other tragedies have left behind unsettled spirits in historic restaurants and bars across the country. For the spine-chilling chance to see the resident apparitions and experience their antics, sit down to a filet mignon in Michigan or hit the slot machines at a Nevada saloon. 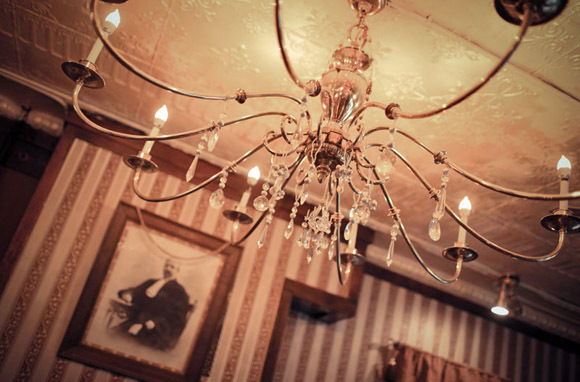 Here are some of America’s most haunted restaurants and bars—ones that have given employees, patrons, and even ghost hunters more than what they ordered. The unhappy ghost of Genevive Stickney, an obese and jealous woman, still frequents her former residence, now Mission Table restaurant. As the story goes, Genevive and her Chicago lumber-baron husband built the home in the late 1800s. Succumbing to the excesses of good food and fruit brandies, the attractive Genevive became quite stout. She had a special gilt-edged mirror installed that made her appear thinner than she was, but eventually she became so large that she needed an elevator to transport her to the second floor. When her philandering husband took up with a mistress and left the mistress all his money, Genevive took her own life. Haunted Encounters: In Genevive's mirror, restaurant guests have seen the reflection of a woman dressed in 19th-century clothing with hair pulled into a tight bun, the way Genevive wore hers. Lights turn themselves on and off, objects are mysteriously hurled through the air at people, hands on the grandfather clock are moved ahead, and candles are found burning in the morning. 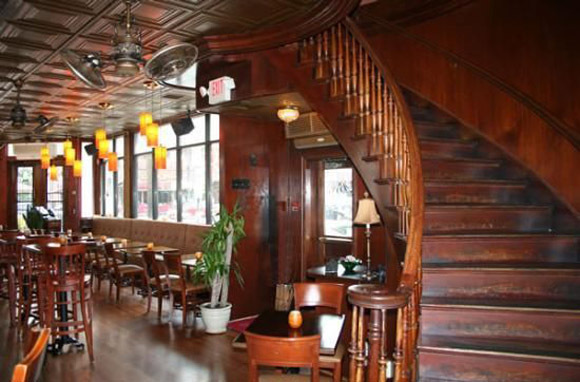 A ghost bride is said to haunt the historical Brass Rail restaurant in downtown Hoboken. Legend has it that on her wedding day in 1904, she tripped at the top of the staircase, fell, broke her neck, and died. Later that night, her distraught husband, who was drinking heavily, wrote a suicide note and hung himself in a room near the stairs. Haunted Encounters: Restaurant staff and patrons have spotted spirits of the bride and groom wandering up and down the stairs. A photo taken by the New Jersey Ghost Hunters Society revealed a white wisp of smoke hovering above the stairs when no one was smoking in the room. Others say they have heard walking in the upstairs dining room when it was empty and seen the ghost of a woman wearing white in the back alley. 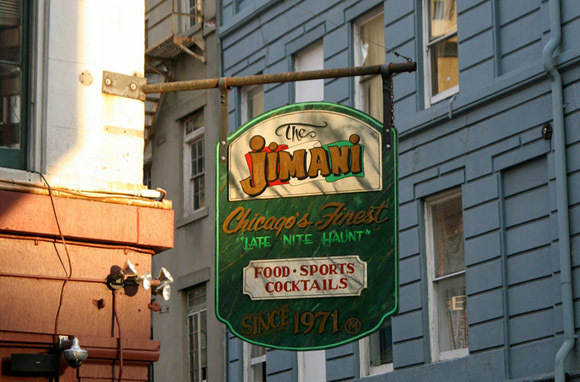 Forty years ago, one of the deadliest crimes against the LGBT community in U.S. history took place at this French Quarter gay bar above The Jimani Lounge & Restaurant when an arsonist set it on fire, killing 32 men. The UpStairs Lounge had only one entrance—the door at the bottom of the stairwell, where the fire originated. While the fire blazed, patrons tried desperately to climb out the windows but couldn't escape, since windows were mostly barred or blocked completely. Several bodies were unclaimed by embarrassed family members, and the arsonist was never caught. The UpStairs Lounge area is now the kitchen of the first-floor Jimani Lounge & Restaurant. Haunted Encounters: The building's current owner, who witnessed the event as a child when his father was owner, has seen apparitions of charred bodies, dark shadows, white orbs, and flashes of light in the building. When Syfy's Ghost Hunters crew visited last year, detectors picked up screeching noises in the stairwell. This concert venue in Atlanta's historic Old Fourth Ward neighborhood was originally a mill that produced wood shavings. Since the mill property's opening at the turn of the 20th century, it has seen its share of fires, structural collapses, and the gruesome accidental death of mill worker Hubert Neal in 1899. But the grisly stories that circulate at The Masquerade only add to the appeal for the goths, metalheads, and punk rockers who converge here for shows. Haunted Encounters: Staff and concertgoers repeatedly report sightings of an apparition of a tall black man and say they've heard voices, screaming, and heavy phantom footsteps. An investigation by the Georgia Society for the Paranormal Sciences gathered accounts from multiple employees who described the feeling of being watched. The group recorded several unexplained noises and encountered a dark human-shaped mass. In the middle of the night, the group watched as a mysterious dense white fog appeared and dissipated on the club's second level, called "Heaven." 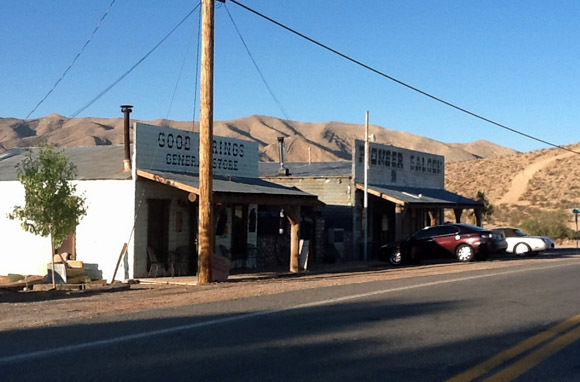 The paranormal activity at this 100-year-old Wild West saloon just outside Las Vegas kicked off the 2013 season of Ghost Adventures on The Travel Channel. Reportedly haunted by an elderly miner and a cheating gambler who was killed at a card table in 1915, the Pioneer Saloon hasn't changed much since the days of the town's mining boom. Bullet holes from the gambler's murder can still be seen in the wall. Haunted Encounters: Nearly every bar employee has seen the ghost of the elderly miner, a short man who wears a cowboy hat, standing behind people at the slot machines or hanging out by the potbellied stove. The spirit of the gambler makes an occasional appearance at a card table at the back of the bar. Visitors and staff have also been known to hear disembodied voices and see mysterious trails of cigarette smoke materialize. 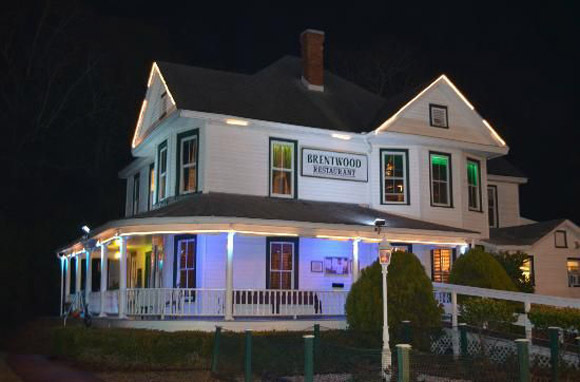 Drawing paranormal-research conferences, A&E's My Ghost Story crew, and numerous investigation groups, The Brentwood Restaurant & Wine Bistro has been called the most haunted location on the Grand Strand. It's just north of Myrtle Beach's main drag in a 103-year-old Victorian home. The restaurant owners have embraced the supernatural, saying they've never felt threatened. 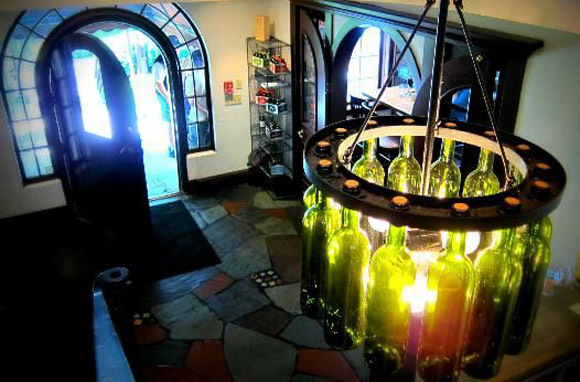 They regularly plan special-event dinners with psychics and talk openly about the restaurant's spook factor. Haunted Encounters: Guests often get "locked" in the second-floor bathroom. Strange voices, unexplained movement of equipment, and shadowy figures have been reported by even the most skeptical guests and employees. When one of the restaurant owners asked the spirit who was there, the reply—captured in a recording—was "Clarence." Clarence and Essie Bessent-McCorsley were the original owners of the Victorian home. 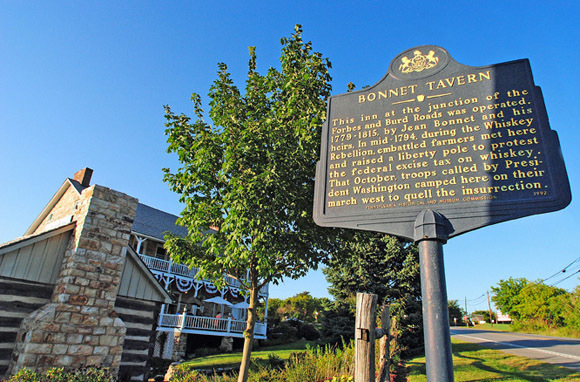 Built in the 1760s at a major junction of the only road connecting eastern Pennsylvania with the Ohio River, the Jean Bonnet was an important trading post and watering hole for early settlers. If the tavern's original stone walls could talk, they'd tell of rowdy trappers and traders, Whiskey Rebellion farmers' meetings, and encampments of troops summoned here by George Washington. Stories of the spirits at the Jean Bonnet Tavern are captured in The Pennsylvania Ghost Guide, Vol. II by Patty A. Wilson. Haunted Encounters: Guests and staff describe a strange man in the bar after-hours, doors being opened and closed, and the sensation of being touched when no one is around. When members of the Central Pennsylvania Paranormal Association spent the night, a group of apparitions in frontier-type clothing appeared in a doorway and watched a man playing the piano at the other end of the bar. In the south Dallas suburb of Waxahachie, Catfish Plantation restaurant occupies an 1895 Victorian home where three former residents are believed to have died. The apparition of Elizabeth, murdered here on her wedding day in the 1920s, appears in her wedding gown. A Depression-era farmer named Will walks around the lobby and front porch in his overalls. Caroline, a strict religious woman who detested alcohol, passed away here in 1970, and now she sends wine glasses flying into the wall. The Travel Channel's Extreme Restaurants show, NBC News, and several paranormal groups have reported on the Catfish Plantation's strange occurrences. Haunted Encounters: Besides seeing the resident ghosts, the restaurant's guests and staff have felt cold spots that move around. Clocks with missing parts chime. Doors, lights, and faucets all operate at will. And several knives go missing every night. One of the oldest continually operating restaurants in Columbus, opened in 1831, this downtown mainstay has plenty of stories to fuel its ghostly reputation. 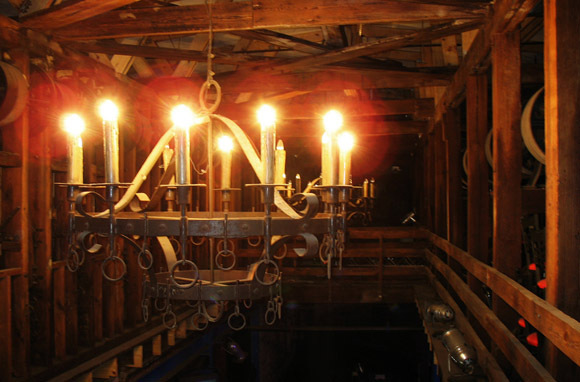 It was built on Native American burial ground and lost its third floor to a fire in the late 1800s. The original tin ceiling and historical photos are a throwback to The Jury Room's days as a bordello. At the bar, you can order a "Hung Jury," a "Bordello Bubbly," or a "Lorenzo's Revenge," all nods to the prostitute who shot a man on the bordello's front doorstep in the 1850s and her subsequent trial for murder. Haunted Encounters: A tall, shadowy man has been seen roaming around the bar and appearing behind bartenders. Objects move at will and women describe being attacked by unseen forces. There have been so many occurrences that the staff now keeps a ghost log and The Travel Channel's The Dead Files has come to investigate. 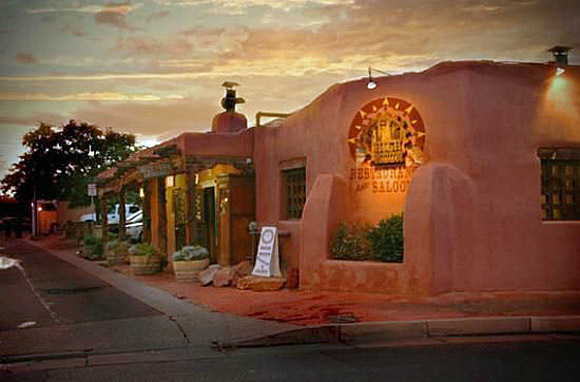 In Albuquerque's Old Town, two different spirits are believed to haunt High Noon Restaurant & Saloon, housed in one of the historic district's oldest structures. Constructed in 1785, the building has served as both a casino and a successful brothel. According to Ken Hudnall's book Spirits of the Border IV: The History and Mystery of New Mexico, some say High Noon is haunted by the ghost of a trapper. The female spirit, investigated by the Southwest Ghost Hunter's Association, wears an old-fashioned white formal dress. Haunted Encounters: Hudnall says the male ghost may be responsible for the unseen tapping that customers and employees feel on their shoulders, the smell of burning when the fireplace isn't lit, and the calling out of employees' names. Several customers and staff members have reported supernatural sightings, including the female spirit, who haunts the Santos Room lounge. 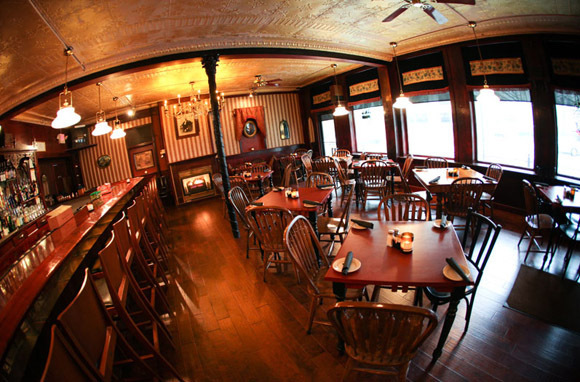 High Noon is one of many restaurants and bars on the lantern-lit Ghost Tour of Old Town.